14984. 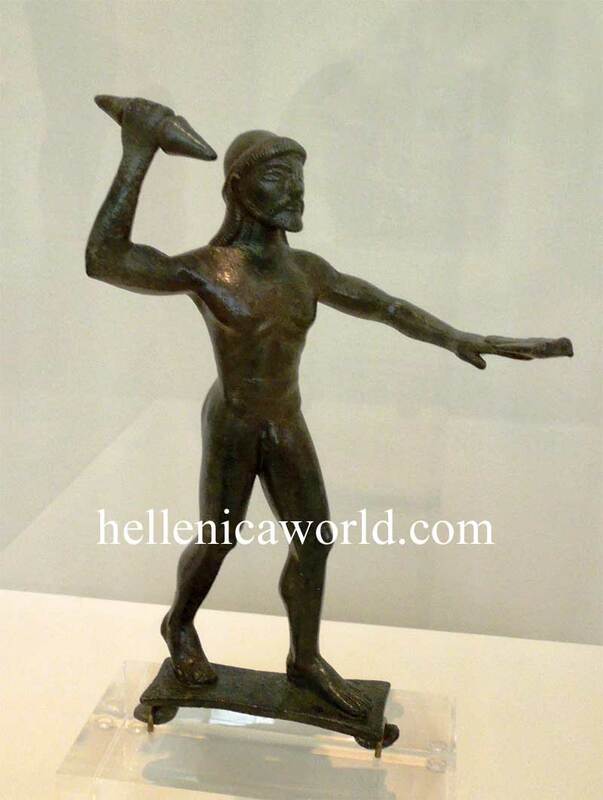 Bronze statuette of Zeus. right raised hand. An eagle on his extended left hand.